Neuroscientist Suzanne Dikker has been a fixture at MAI ever since she collaborated with Marina Abramovic to create “Measuring the Magic of Mutual Gaze,” a re-staging of “The Artist Is Present” as a neuroscience experiment in 2010. Her work studying and visualizing neuronal synchrony between human beings has been presented by MAI in a series of art+science installations that currently travel the globe. Suzanne once told me that the first time she approached an artist to create a collaborative experiment, she believed it might be detrimental to her career but went ahead anyway, fueled by a passion for expanding the boundaries of scientific research. Nowadays, these types of multidisciplinary collaborations are internationally recognized for their ability to explore complex questions while helping to educate the public about both scientific and artistic processes. 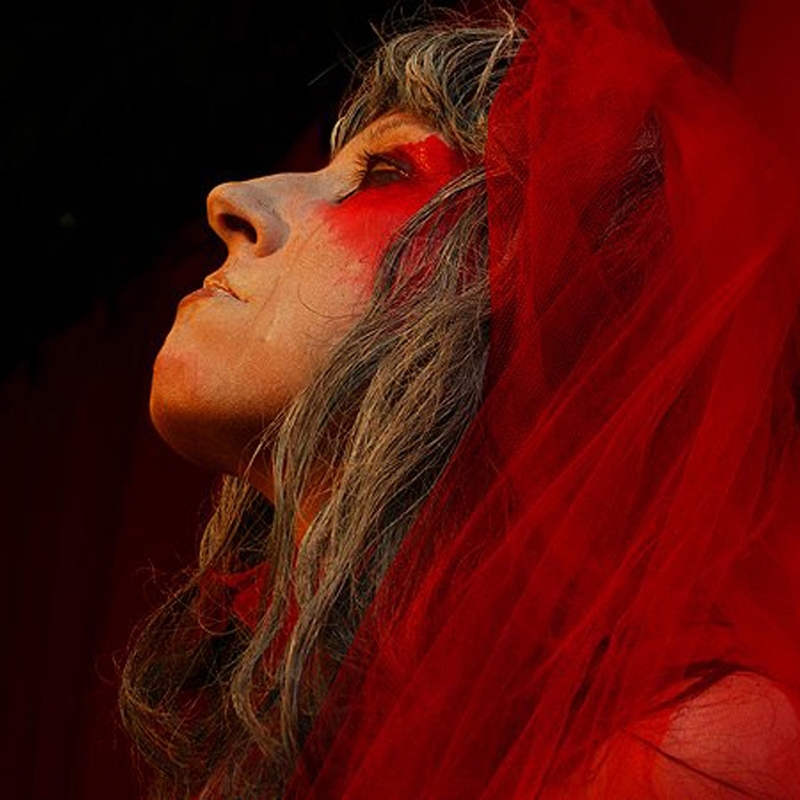 For the last 14 years, Vangeline has been performing, teaching, and choreographing Butoh with her eponymous theater in New York City. Butoh is difficult to define. It arose in 1950s Japan, in stark contrast to both traditional Japanese theater and western dance styles. It is as much avant-garde performance art as it is a dance form. The Butoh performances I have attended were marked by slow, deliberate movement, ashen makeup, and extreme, often grotesque, facial expressions. Bodies seem to be unusually affected by gravity, alternately straining to stay upright and floating upward on invisible strings. Vangeline’s theater fuses the post-apocalyptic vision of Butoh with the aesthetics of 21st century film noir. The company's unique style is informed by her extensive training with masters of the practice, including Tetsuro Fukuhara, Yoshito Ohno, Diego Pinon, and Katsura Kan. When Vangeline watched "Out of the Lab," the short film I created about MAI’s art+science installations, she was riveted. She had been looking to work with scientists for many years to better understand how Butoh works on the brain, but no one she had approached had shown interest in this type of project. A few weeks ago, we sat down with Suzanne and Vangeline to connect these two innovators and, hopefully, to plant the seeds of a new collaboration. SIENA ORISTAGLIO: Vangeline, here is the NeuroTango piece that Suzanne recently worked on with dancers. VANGELINE: What’s the technology here? SUZANNE DIKKER: We have portable Emotiv EEG headsets that measure brainwaves. They also measure a lot of head movement, which is why certain types of dance are not so good for them. Butoh, however, has a lot of slow movements, which is great. 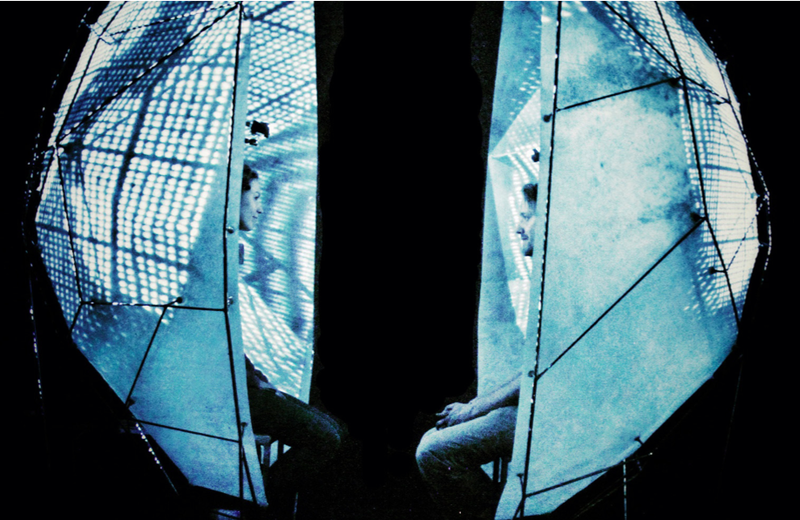 In these types of installations, we compare the brainwaves from two people. When the brainwaves match up, the visualized heads merge. You can translate that information into any output you want. SUZANNE DIKKER: Yes, we collect the raw data and filter it into different frequency ranges. This particular experiment began when Graciela Flores, a science writer and tango dancer, saw the Mutual Brainwaves Lab experiment at the World Science Festival. She wanted to see what would happen if tango dancers used the same technology, so we, in collaboration with an organization called artlab, organized an evening that started with two pairs of dancers who had danced with each other for a long time. We set various conditions: one where they danced with music, one where they danced without, one where they listened to music without dancing, and one where they switched partners. Then we looked at brain synchrony for each condition. I don’t remember the results because, in this case, they're very much anecdotal. But what it did was inspire conversation in the audience and the dancers about what it means to "connect" while dancing. With the tango, people often feel that they become one body. Perhaps there is a tool to understand this. First, tell me why you’re interested in this technology? VANGELINE: I’m interested in any tools that can measure brain activity. I want to map out what happens in the brain of someone who is performing Butoh or who is watching it being performed. I want to know what we mean when we talk about the “energy” of a performer. There are so many ways to teach Butoh, to perform Butoh, and to train in Butoh, so I imagine that this could be a complex process. I think that in the future, science and some art forms we consider esoteric will intersect. My particular feeling from teaching and performing for almost 13 years is that in Butoh, there’s a change in the way that we use the brain. For example, is it possible to see if we access the limbic brain when dancing Butoh? SUZANNE DIKKER: Unfortunately, that kind of technology doesn’t exist right now, because you are talking about sub-cortical structures. To analyze what’s happening in those parts of the brain, you can put yourself in an fMRI, but you can’t do that while you’re performing. So there are limitations to what you can actually measure. We have the tools to read blood flow even deep inside your brain but you have to be still and lying down, in a lab and not in a performance space. On the mobile headsets we use, there are fourteen little “fingers” that come into contact with your head. Michael Caruso, who I worked with on the Mutual Brainwaves Lab, used an analogy that I borrow from him all the time: each of these “fingers” are like little microphones. We are being audio recorded right now, but if somebody talks over there [points], then it’s also going to bleed into the recording. We’d need a bunch of different microphones throughout the room to be able to disentangle what sound comes from where. Still from Mutual Brainwaves Lab video rendering. In addition to that, the signal also gets distorted by the skull. Deep-brain signals don’t always make it to the surface. So even though there are fourteen of these contact points, there is no way of saying that the brainwaves are linked to this specific part of the brain. However, there are many interesting questions that can be experimentally explored based on what data we can gather from these devices. VANGELINE: My interest is very broad. What I saw in the "Out of the Lab" video is fascinating. Just establishing what kind of brainwaves are being predominantly used could be game-changing. SUZANNE DIKKER: What I liked about NeuroTango was that it focused on the performers, while almost all existing studies are focused on effects on the audience. What’s nice is that you have a group of consistent performers, so we could actually have ten performers go through a routine. What kind of brainwaves does that generate? If they're going through another type of routine, sensation, or state, is there a qualitative difference? If I understand you correctly, the question of whether there is neural synchrony between performers is not as important to you. Or rather: it’s important, but it’s not the vital question? VANGELINE: It's not the primary question but it is linked to what I’m curious about. In Butoh, there is a point of synchrony between performers. It starts as a solitary exploration that transcends the individual and goes into something much larger. So, you're saying we would need the same ten people consistently doing various routines over a period of time to have consistent results? SUZANNE DIKKER: Yes, with one person, we won’t really get meaningful data. If we have a group of ten people, we can definitely explore some phenomena. We could even incorporate this technology into a performance. Obviously, we can’t put a headset on your head and immediately read what you are thinking. But we can train it. If it’s on your head often enough and you think “left” 100 times, we can start recognizing the signature for you thinking "left." We can then use that signature to more solidly analyze the data. Let’s say that one of your dancers gets into a certain state and we have data from the hundreds of times she’s been in that state – then we can translate the data into something meaningful. It could even be translated into the lighting of the set or into some kind of audio or visual cue around her. This could happen simultaneously. VANGELINE: That sounds fantastic. How long would it take to generate useful data? SUZANNE DIKKER: These kinds of projects are not typical neuroscience experiments, in that we are not working with people who are sitting still in a lab. They are very exploratory, so it’s hard to say. Maybe ten sessions. VANGELINE: Honestly, ten years wouldn’t even scare me. Long term is fine. If we’re going to do this, I would want to do it right, in a way that works for everybody, including enough time to analyze the data. SUZANNE DIKKER: In order to understand what the length of each session should be, we would have to talk more about what the movements and the states of mind are. We’d have to select a subset – preferably some that are the most extremely divergent and that are not very movement intensive. This will be difficult, but it is possible, right? VANGELINE: Yes. In Butoh, in order to get to what we call a “destination” – a place you reach where the movement is minimal, but the activity inside is very powerful – there has to be a long warm-up, which requires movement. It may be that we have to accept that there’s an hour where the data cannot really be used. If we interrupt the performers and put on the headsets, it might break the state they are in. I think a span of two hours would be necessary, though if they are very trained, they may get there faster. Typically, my feeling is that the results will be more and more interesting with time. Having witnessed it myself, I feel like that is when activity shifts: with time. We also do a lot of partnering exercises. Is this something we could look at? SUZANNE DIKKER: Yes. Because the experiment is offline, you have a lot of data that you can look at and analyze later for various factors. VANGELINE: Do you have a special interest in Butoh? SUZANNE DIKKER: Not necessarily Butoh, but I went to the Royal Conservatory in the Hague to become a classical ballet dancer. VANGELINE: So, you have an interest in movement and dance, in general? SUZANNE DIKKER: Absolutely. I also understand what makes a given movement different depending on the energy that you put into it, just from having this drilled into me. [Laughs.] I don’t dance anymore but I did when I was young. I quit because it was a four-hour commute every day and long school days. I would get home and vomit from exhaustion. That was my life. I quit ballet and did modern dance for a while, and then flamenco. What I thought was nice about those different dances was that classical ballet is supposed to be all in the air, flamenco goes into the ground, and modern dance has a combination of the two. Where you direct your energy is very different across these styles. I’ve never done or tried Butoh but I would love to. Can I come to a class? VANGELINE: I was going to suggest this. I also suggest coming once just to observe. I would have to warn the students, but yes, absolutely. You could see the way that I work and also see how people transform in the class. Performance is always different – it’s harder. It’s a more artificial environment with more expectations. In class, people can relax more. Nobody’s watching. Well, except if you do. [Laughs.] But, they’ll forget about you in ten minutes. We just had someone come from the Department of Cultural Affairs. He stayed for two hours and enjoyed the experience. I’ll send you the schedule. SUZANNE DIKKER: Whenever we design an experiment, we have to try it out for ourselves. We have to understand what goes on in people’s heads when they’re performing the task and find out if they’re actually doing what we think they're doing. Not that I will ever come to a complete understanding, obviously. Certainly not in one class. VANGELINE: I never recommend that people try to “understand” Butoh. I think Butoh should be experienced first and the understanding comes later. In our case, though, we are trying to combine both. That’s the interest here. SUZANNE DIKKER: What brought you to Butoh? VANGELINE: I was a dancer, performing Jazz dance mostly, and a friend of mine took me to see Sankai Juku, who are the most famous, successful, six-dancer Butoh group in the world. They are subsidized by the French government but travel all over the world. I saw them at BAM and I had a very visceral reaction. I felt a new kind of “vibration” in my body – that’s the best way I can describe it. I really didn’t know exactly what was happening to me but it was a life-changing experience. Then I started training and I found my teachers, little by little. Everything fell into place with a lot of synchronicity. My life changed. NOAH BLUMENSON-COOK: Who was your teacher? VANGELINE: My first teacher was Diego Piñón from the Butoh Ritual Mexicano. He’s a Mexican dancer who worked a lot with Kazuo Ohno and Min Tanaka. He’s fantastic. He uses shamanistic practices in his work. Once you start understanding Butoh, you realize that there are a lot of similarities between the Butoh and Shamanism. Tatsumi Hijikata, the founder of Butoh, is described by his followers as a shaman. There is a very interesting article by Natsu Nakajima, one of his first female dancers, one of the first women to dance Butoh. She straight-out calls him a shaman. Hijikata wanted to go back to the origins of man. In this case, he had a strong interest in a uniquely Japanese dance. He was very interested in the farmers in the north of Japan – in Tohoku, where he grew up – who were still untouched by civilization and kept a way of connecting with the land. A lot of people believe that he recovered a form of pre-civilized dance with Butoh. After Mexico, I went to Japan and trained with Japanese dancers. There are a lot of similarities in Butoh with primitive dances, aboriginal cultures, and trance dance. Of course, it’s complicated to describe Butoh, but there’s something there, I think. This may be something about the 21st century, how we search and make sense of who we are now and re-explore our origins. I don’t think modern people feel whole. We’re looking for something that’s missing. If there’s a way I can educate myself about neuroscience, let me know. I don’t want to be a bystander – I’m very, very interested. When Siena told me about MAI's neuroscience collaborations, my eyes lit up. I have been looking for this for maybe five years. I approached many scientists but I never found anybody who was interested, so this is exciting. Especially because Butoh is so hard to describe and seems so mysterious. To have some kind of scientific data would be a significant step. SIENA ORISTAGLIO: At least it will open the door and spark conversation. If things can be gleaned in the process, that’s great as well. VANGELINE: Exactly. Suzanne, do you anticipate that in our lifetime, the methods will change or evolve such that we’ll be able to take an MRI when someone is moving? Do you think this is possible? SUZANNE DIKKER: To have an fMRI when someone is moving? Well, it’s going to pick up all of that motion. I really don’t know. Although there are some developments, we don’t really have the technology right now that measures both the location and the timing very accurately. VANGELINE: Well, I hope that some other technology will be developed before I die. [Laughs.] And if there’s anything you’d like to know about me, you can ask, of course. I’d like to know a bit more about you too. What’s your background? What other projects are you working on? SUZANNE DIKKER: Well, I was born in Amsterdam and I went to the ASVO primary school. I’m here on a scholar’s visa. When I was young, I wanted to be a dancer, then I wanted to be a visual artist, so I went to art school for a bit. Then I decided I wanted to be a scientist and that’s what I ended up doing. I am a linguist and a cognitive neuroscientist by training. I did my undergraduate and master's degrees in Amsterdam and then moved to New York to complete my Ph.D. in Neurolinguistics. I focused on how the brain predicts language and how different areas of the brain communicate with each other to anticipate what other people might say. SUZANNE DIKKER: Thank you! [Laughs.] After that, I went to do a Post-Doctorate at the Sackler Institute for Developmental Psychobiology. That’s also how I began working with Marina Abramovic and then MAI. Marina took part in the Annual Watermill Art & Science: Insights into Consciousness Workshop in the summer right after she performed "The Artist Is Present" (2010). There were therapists, artists, and scientists present, and they were all interested in the connectedness that people felt during that piece. Based on this, we created “Measuring the Magic of Mutual Gaze,” a re-staging of "The Artist Is Present" as a neuroscience experiment at the Garage Center for Contemporary Culture in Moscow. VANGELINE: This is one of the experiments that I saw in the short film. SUZANNE DIKKER: From there, I continued to do the work on prediction and brain-to-brain synchronization. Are you more synchronized with other people if you can anticipate what they are going to say, or predict what they are going to do? That was part of the research that I continued. At the same time, I was building other interactive installations and experiments based on the same model of connectedness and brain synchronization. Now, I have a grant from the Netherlands Organization for Scientific Research to do these kinds of experiments investigating what drives synchrony from a language standpoint. I also work with David Poeppel here at New York University. David just accepted a directorship at the Max Planck Institute for Empirical Aesthetics. They are going to build a big theater where all the seats will have biometrics. That won't exist for a couple of years, though. Currently, we have a large grant for science and education so we’re working with a high school and giving them a neuroscience curriculum. At the same time, we're also collecting data from one class throughout the school year to explore, again, what drives synchrony. On the side, I’m analyzing the data from The Mutual Wave Machine and doing those kinds of projects. I am also the Brain Educator of the American Museum of Natural History's Sackler Brain Bench. SUZANNE DIKKER: Yes, in person you’re using visual cues of people’s lip movements, as well as their facial expressions and hand gestures. There’s so much supporting information that you have when you are communicating face-to-face that you don’t have when you are communicating on the phone. How long have you lived here? VANGELINE: 21 years in June. I went to school in France at La Sorbonne. Then I moved to Lyon and got a degree in English literature. Then I moved to London and got my masters degree in English literature from King’s College London. After that, I moved to New York to work for the United Nations as a translator, then I quit and became a dancer. I decided to focus on dance because that is what I deeply wanted to do. I had been dancing since I was 12 years old. My life now is more than just about dance because, obviously, my academic background stayed with me. It helps me to run a company. I’m really grateful that I have an education because I think it’s good to have a balanced perspective. SIENA ORISTAGLIO: It’s funny that you followed completely reverse tracks. Suzanne, you were dancing when you were young before becoming a neuroscientist and a linguist. Vangeline, you studied language when you were young and then became a professional dancer. VANGELINE: [Laughs.] I also come from a scientific background. My dad is a paleontologist, so I was raised around science, around people with that kind of analytical mind. Do you know Frank Van de Ven? He does body weather in the Netherlands. SUZANNE DIKKER: What is body weather? VANGELINE: Min Tanaka was a contemporary of Hijikata – he split from Hijikata and started doing a similar type of experimental work on a farm. His students would work all day and then dance. It was one of the most rigorous, difficult forms of training in the 1970's that anybody could do. Many people got injured. They were very radical back then. Min Tanaka called this work “body weather,” not Butoh. We can see similarities with Butoh but those who practice it really don’t like it being called “Butoh.” It’s a similar kind of exploration into the body, though. Frank Van de Ven is from the Body Weather lineage and he is an important voice in Amsterdam. After the 1970s, it became a question of, “How can we continue these same kinds of explorations and not injure ourselves to the point where we can’t continue?” The practice became more about emotional limits. In the work that I do and in Butoh, generally, there is always an exploration of limits. What happens when people are completely exhausted? What state of mind can they enter? We do a lot of exhaustion exercises. Anything that helps the brain shift, to surrender, and step away from mundane activity and the ego. I don’t mean that with judgment. There’s just a protection that we have from existing in a society with other people. A mask. SIENA ORISTAGLIO: We talk about long durational work as six hours or longer. Vangeline, have you performed or practiced for that length of time? VANGELINE: In my training in Mexico, we would do 14-hour days, easy. You reach a point where you think that you can’t do it anymore and then the teacher says do it again. Do it again, do it again, do it again. It’s intense. In Japan, the hours were not so long but it was very rigorous training. You wake up at 3am, you dance from 3:30am until 8:30am and then again from 2:30pm to 6:00pm. Then you go to sleep, wake up, and do it again. It's lot of repetition of the same thing to break the defenses that we have that stop us from accessing deeper states of consciousness. These defenses are useful; we need them to interact in society. We can’t be completely open all the time. That’s utopia – it doesn’t really work. We need to have an ego but it’s useful to bypass that ego in order to achieve a performance that has a high level of energy or to be able to access something deeper and offer it to an audience. NOAH BLUMENSON-COOK: The Abramovic Method, when applied to performance, aims to find what Marina refers to as “rest energy.” The idea is also to help the audience find that rest energy while participating in, or viewing, the performance. SIENA ORISTAGLIO: Yes, rest energy being a deeper form of energy that you can’t access unless you’re absolutely focused or completely exhausted beyond a certain point. I was just thinking of this conference that we were at. There was a talk by Chris Waddel, the first man in a wheelchair to ever climb Mount Kilimanjaro. He was 200 feet from the top of the mountain and he just couldn’t push any further. This was after something like eight days of the most rigorous climbing. Hearing him describe that last 200 feet to get to the top of the mountain was unbelievable. He has an organization now called “One Revolution,” which refers to the one revolution of the wheel that it took him to get to the next spot. That’s how he did it, just one revolution at a time. That "rest energy" comes from somewhere. VANGELINE: The Japanese refer to it as “empty space.” After the exhausted body comes the emptiness. Then the universe can fill you. VANGELINE: [Laughs.] I don't know, I don’t run. NOAH BLUMENSON-COOK: I know this from biking. In long distance cycling, it's called “bonking.” You physically run out of glucose and just hit a wall, like you’re moving through molasses. Most people stop at that point. VANGELINE: I think mostly we stop because we don’t know that we can go forward. We don’t have that experience. I don’t know physiologically, but in spiritual terms, Butoh masters say that you can get “nutrition” from the universe at that point. Being empty means that new forms of energy can come into you. I have no idea how you would measure that. SIENA ORISTAGLIO: There’s some kind of combination. At the end of the talk, Chris Waddel said very off-handedly, “So that was climbing the mountain. But that wasn’t even the hardest part. The hardest part was the two years prior.” It was a moment of, “Whoa, what?” I spoke to him afterwards and said, “What did you mean by that? What was the preparation like? Did you do mental training as well as physical training?” He affirmed that there’s a mix of how much you can push through on a mental level as well as a physical level and that he certainly trained for both. VANGELINE: Without the mind, without the decision, nothing happens. SIENA ORISTAGLIO: Vangeline, Suzanne was talking about how in ballet, the energy is mostly in the air, and in Flamenco, energy is focused down into the ground. Where would you say this focus is in Butoh? Physiologically, Butoh is always about bringing the body closer to the ground, never completely upright. Hijikata called it the “desperately standing corpse.” It’s the question of how you can bring the state of being a corpse to your living body. Many of the positions are crouching with a contraction in the center so that you can concentrate your energy there and have your center of gravity closer to the ground. Then you can open that, make choices, and dance with it. SIENA ORISTAGLIO: What about facial expressions? 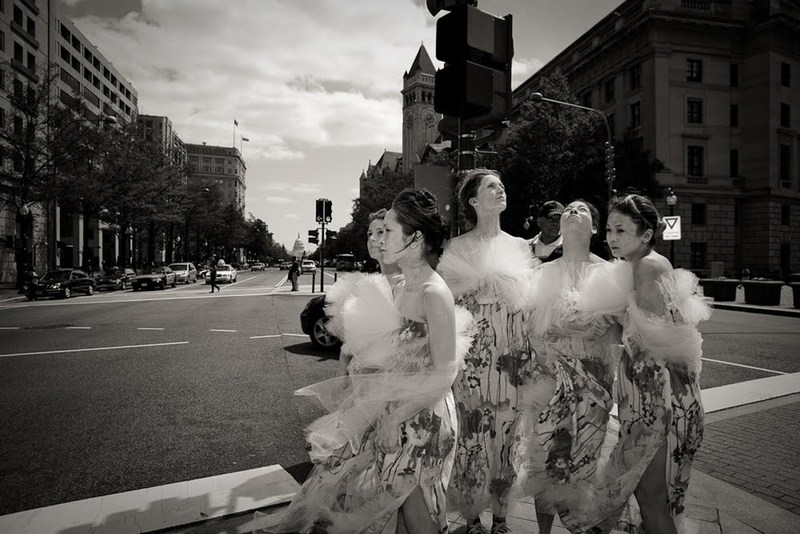 VANGELINE: For some Butoh dancers, it’s a completely neutral face. If you look at the whole spectrum, there are so many variations. To me, Butoh is definitely a way regenerating and concentrating energy. As with martial arts, they talk about energy through the joints and circulating energy to have a body that has no stagnating energy. Again, there are so many ways to train Butoh but it’s a common, important thing to have the connection to the ground. In the beginning, Hijikata wanted to contract people. At one point, when you worked with him, sometimes for one year, the dancers could not stand up fully. For one year. Even now, with Dairakudakan, for the first year students train in the snow, in the cold, outside, sometimes naked, doing exercises close to the ground, the ground, the ground, the ground. It’s about finding our connection to our roots that we’ve lost as civilized human beings. NOAH BLUMENSON-COOK: Is there any connection between martial arts and Butoh? VANGELINE: Well, both art forms come from Asia. Hijikata, the founder of Butoh, was a dancer. He studied ballet and modern dance. The original Butoh dancers were trained in Western dance, initially. Butoh is already a hybrid between Western influences and Japanese influences. Hijikata had all of his dancers study traditional Japanese art forms, sometimes to make a parody of them. Also martial arts, Noh theater, and Kabuki. They would study a form for one month and then deconstruct it through Butoh. SIENA ORISTAGLIO: Is there a book that you would recommend about Butoh? I'm interested in reading about this history. VANGELINE: There is a very good book by Bruce Baird from UCLA called “Hijikata Tatsumi and Butoh.” I own it. I can even lend it to you. His book is more specific about the origins of Butoh. There’s Sondra Horton Fraleigh, who wrote a very good book about Butoh, Tatsumi Hijikata, and Kazuo Ohno (“Dancing Into Darkness Butoh, Zen, and Japan”). Kazuo Ohno was a universe of his own. He was a Christian and very spiritual. SIENA ORISTAGLIO: What is the core of your philosophy when you teach Butoh? VANGELINE: I don’t know if I want to call it a "philosophy." As a teacher, I recognize that people are different, bodies are different, and people come from a variety of upbringings. I have people from many backgrounds coming to class. So, how can I teach this art form? I have to try the entire spectrum of exercises. I never teach the same class. I have to be really in service of every student; I want them to be able to connect to the form. Some students will relate to one exercise greatly and not at all to five other exercises. I try to offer students a broad spectrum and then, hopefully, it will be like building blocks. Once you can enter through a door, everything starts making sense a little bit more. I really cannot say, though, about a “philosophy.” You can talk about emotional body, you can talk about pushing people to their limits physically, you can bring people close to the floor, you can use imagery. I definitely feel that the body has to be engaged and the mind has to be concentrated. People have to present and they have to learn to concentrate energy. Like meditation or martial arts, they have to concentrate the mind. It’s exactly like you said: if the mind is not engaged and concentrated, no transformation can happen. They also have to make a decision, so we have to activate decision-making. We can’t be bystanders. People have to make an active choice to surrender. It’s ironic, in a sense, but this has to happen. There are many conditions that have to be present. People have to be conscious and in their body in order to let go and tap into their subconscious. There’s a lot of repetition, and then once you get people past a certain point, you can really throw images at them that they can relate to. I feel at some points in the class that there might be some similarities with hypnosis. With that comes some responsibility. NOAH BLUMENSON-COOK: From an audience perspective, Butoh is completely unlike any form that I’ve ever experienced. There’s such a visceral reaction that happens. VANGELINE: I think this is about the shadow. There are parts of our subconscious that we don’t push away in Butoh. Maybe it’s not only that, though. SIENA ORISTAGLIO: Suzanne, have you ever had an experience as an audience member where you just felt electrified? SUZANNE DIKKER: Yes. I can’t think of a particular time, but some performers have the kind of energy where they can just stand still for 15 minutes and you’re completely beat after watching that. As a performer, how the audience reacts to you is really, really, important. There’s this back and forth. VANGELINE: It’s true. I’ve been on stage and sometimes you feel that the audience is not engaging and then you feel like you have to work harder and try to not let it affect you ... So, in terms of this project, we’re talking about doing ten sessions with ten performers, ten headsets, two hours per session? With a possible performance at the end? SUZANNE DIKKER: Yes. With the Mutual Wave Machine, we are collecting data as the installation goes on and neuro-feedback is part of the experiment. In this case, we could research the practice as it is building towards a performance. We can integrate whatever we learn in these practice sessions into this ultimate performance. This is true for the Mutual Wave Machine as well – we are using the data to inform future iterations. We’re mostly focusing on the alpha and theta waves because we are finding from the installation data that this is where synchrony happens. SIENA ORISTAGLIO: Do we also want the audience to have EEG headsets? Ten dancers, ten audience members? Maybe if someone contributes resources towards the project, they have the option of becoming an audience member? VANGELINE: That’s a good idea. SUZANNE DIKKER: Yes. Let’s start from that point and then we’ll see. To support MAI's creation of neuroscience collaborations like these, click here. Suzanne Dikker is a neuroscientist whose research merges cognitive neuroscience and neurofeedback art in an effort to understand the brain basis of human social interaction. Together with media artist Matthias Oostrik and other collaborators from both the arts and the sciences, she uses portable EEG (emotiv) in a series of crowd-sourcing neuroscience experiments / interactive brain installations that investigate the role of brainwave synchronization between two or more people in successful communication. These experiments are executed outside of traditional laboratory settings, such as schools and museums (e.g. the American Museum of Natural History, the Garage Center for Contemporary Culture, Eye Institute Amsterdam). To read a recent paper on brain synchrony by Suzanne Dikker, click here. Vangeline is a teacher, dancer, and choreographer specializing in the Japanese postwar avant-garde movement form Butoh. She is the Artistic Director of the Vangeline Theater (NYC), a dance company firmly rooted in the tradition of Japanese Butoh while carrying it into the 21st century. Vangeline's choreographic work spans performance on stage and in film and has been performed throughout the US for the past 10 years. Her work has been heralded in publications such as the New York Times, Los Angeles Times, and LA Weekly, to name a few. Time OUT Chicago named Vangeline's, SPECTRAL "one of the best Dance Visits of 2011." Recent projects include a starring role alongside actors James Franco and Winona Ryder in the feature film by director Jay Anania, 'The Letter (2012-Lionsgate).' Vangeline looks forward to more touring engagements, including her solo FIFTH OF BEETHOVEN at the Avignon Festival in July 2014. Vangeline's website can be found here.